Has anyone seen information on how it works with multiple users in the home? I imagine you setup the HomePod with one person’s Apple ID and all music requests are based on that one person’s likings. I wonder if we should have 2 HomePods with one assigned to one user and the other HomePod assigned to the other person. However, that runs the risk of both responding to Hey Siri at the same time. You know what’s worse? The folk who’ll bore us with their home set up before rubbishing it. 🤣🤣🤣 This made me laugh out loud for real. Funny and sad but true at the same time. 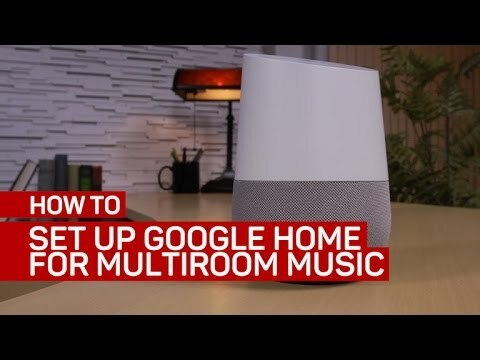 I'm fairly certain Google Home didn't do multi room at launch and I think the same is true for the Amazon Echo. Now before you say the bar has gone up and Apple needs to step up it's game, let's not forgot about the Google Home Mini that was caught recording everything and sending the data back to Google's servers. To be fair it "wasn't caught" in a nefarious sense. It was malfunctioning, and plainly displaying that fact which is why it was quickly discovered to have a flaw in the construction of the cover before any retail units were ever shipped. It’s obviously a shelf speaker and that’s obviously the use case for a “HomePod”, not the car or beach. - Apple Music is a “rap” service? you’re high. i use AM and don’t listen to rap at all. - Mesh speakers have existed for years and is not a big deal. clean. I was assuming in the Apple TV settings you would just select the HomePod as the output source the same way you can select Bluetooth headphones. OT: For those not aware, you don't have to open the menu/settings to change your audio-out. When you are at the Apple TV Springboard or an Apple app, hold down the play/pause button on the remote for a couple seconds, a menu will appear where you can directly select your AirPods, TV, or other BT/Speakers, there is also "Choose Music" option here, not sure if that is for Home Sharing, Apple Music, or both. My assessment is that this is a very niche product that will appeal to a select few. That's not new for Apple. They've done that with, well..the iMac Pro. Those that want or need such a thing will eagerly buy. But this HomePod is competing with established products, unlike a computer line with a very established clientele. Compare to iPod and iTunes; iPhone and Apple Watch or even the line of MacBooks that essentially had no competition when they rolled out. They established a following. My opinion is that this will flop, but the open question is how badly it will do so. Introed 6+ months ago, it ships late, and doesn't contain features promised long ago. There are many that will disagree, and you're free to buy, enjoy, and say I'm wrong. I might be. I agree it will be niche - at least at the beginning. I believe it can grow beyond that if its use cases grow (and possibly some price reductions over time, as often happens, which brings it under $300 next, and perhaps then $250). Growing use cases could include music services beyond Apple Music, greater push & clarity with Home Kit, and tight integration with Apple TV for an excellent sound solution. And increased Siri usefulness. Articles I have read indicate that the #1 use for all smart speakers (Echo, Google Home) is to listen to music. So Apple is targeting the right use case to start, and with a differentiator around design and sound. Price will be challenging for those outside the niche you mention. Apple often does this - target the higher end and then come down a bit over time - but given the momentum of Amazon Echo only time will tell if the price can be sustained. While Siri takes a lot of criticism, it is the most widely used (by far) voice assistant. So they do have the opportunity to tie HomePod into being tied into general Siri use (setup a reminder via HomePod that is set then on phone). Something that Alexa can't do (Google can, but their home products are also considered to have limited distribution so far). Siri being inferior is highly debatable. I have several Echo devices and I don't see how Alexa is any better than Siri. It's funny you mention the design of the HomePod. The Amazon Echo looks like a Bounty paper towel roll. So the mesh design of the HomePod is a dust magnet and the fabric on the Echo isn't? Ok. You do realize the HomePod isn't a portable bluetooth speaker. So you think the Amazon Echo or Echo Show is a good camping speaker or one to bring to the beach? Do you plug your Echo into the sand or what? To work with Siri, Spotify needs to write a connector, which Spotify hasn’t done. It never occurred to me that I could send Apple TV audio to my AirPods. I'll have to give that a try. And I’ll bet you were one of asshats who were making feminine napkin jokes about the iPad too. Did you ever get the egg off your face on that one? Lighten up. It's just a speaker. And, you can use it while you're toileting or knitting! You’re right. They haven’t opened up Siri to this party music apps, so Spotify can’t do anything with it. Um, gonna wait till it's feature complete and there are some reviews on it first. It reads as great but I would want the collaboration feature with a second HomePod for home theater and AppleTV support as well as multi-room support.